Thomas J. Autzen House. From Wikipedia. Image by Werewombat, 3 Dec 2009. 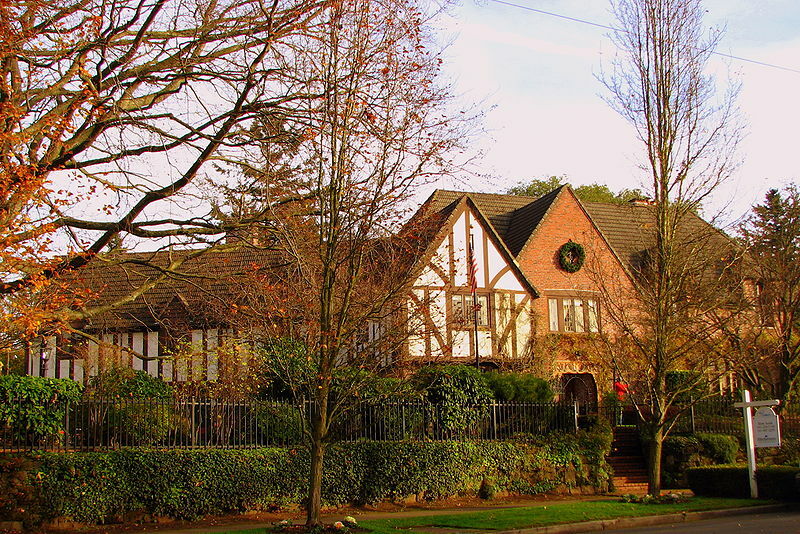 Classified Tudor Revival, this home was designed by Kirkland K. Cutter and built in 1927. At this time I'm not able to find the NRHP documentation. Thomas J. Autzen was a major lumber baron, and is THE Autzen for which Autzen Stadium is named.